Do you believe in ghosts? Do you think there are entities that can only make their presence known via extraordinary means? Well, you should because this guy was able to capture one. While most people say that so-called “paranormal activities” are just a figment of the imagination or one’s mind playing tricks on him, others believe that non-human entities walk among us. They believe that entities such as ghosts make their presence known when people least expect it. Chris Mitchell-Clare, a homeowner from Queensland, Australia claims to have captured on record a mind-boggling scene that will haunt his thoughts forever. In his Facebook account, Chris shared a video from one of the security cameras in his home which allegedly captured activity from what he claims to be a ghost child. According to his account of what happened, Chris realized that his gate had been left wide open and decided to check the security footage to make sure that a burglar did not come into his house during the night. But what he saw was quite unexpected and left him completely spooked. In the screenshot taken from the footage, the time stamp on the clip indicated that the gate was closed at 6:16:31 AM. 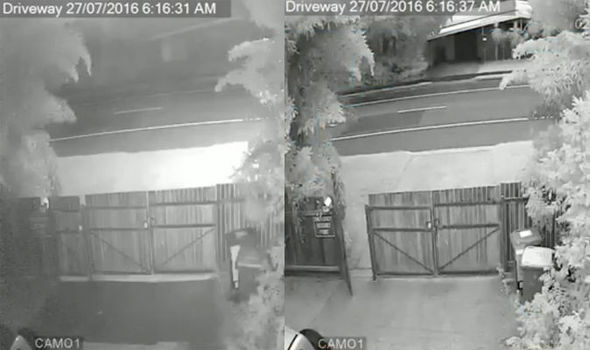 On the second image captured a few seconds later, the gate was shown again but this time, wide open. 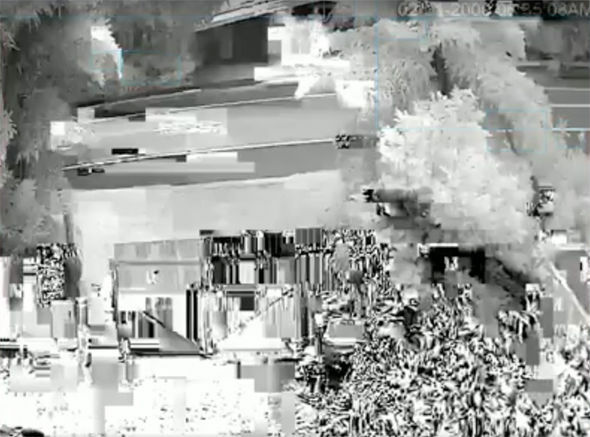 Replaying the video, the footage appeared to malfunction for a split-second before it cleared and showed the open gate. Capturing that exact moment, a child-like figure could be seen walking away from the direction of the opened gate. Is this the ghost child? Baffled, Chris immediately called his mother to tell her about what he saw and posted the footage on his social media account. Local media got word of his one-of-a-kind experience and got him to talk more about it. “I checked through all the footage and saw this within a few minutes, I called to my mother … and said, check this out, within a matter of seconds the gate just bursts open without even swinging and you can clearly see no swinging movement of the gate,” he told the Sunshine Coast Daily. Do you believe that there are indeed ghosts roaming around with us? Sound off your opinion in the comments section below and share this mind-boggling story. Are you willing to trade your kale and quinoa for cockroach milk? What's more nutritious than cow milk and healthier than kale and quinoa? Sister Kate and Sister Darcy are not your typical nuns. Sister Kate and Sister Darcy are not your typical nuns. These badass sisters, who call themselves the "Sisters of the Valley", are licensed medical marijuana growers. Their all-organic products include a minute amount of tetrahydrocannabinol (THC), the component responsible for marijuana's "high feeling". The nuns offer products ranging from salves, tinctures, and oils and are used to treat common ailments such as migraines. Their products contain small amounts of THC, but not enough to induce the "high" feeling marijuana is known for. Slow clap for this awesome police officer! Some days you just get really, really unlucky. Take it from this thief who decided to steal a woman’s smartphone while she was having some time under the sun in the Rålambshov Park in Stockholm. A helpless woman seems like an easy target, right? Well what she didn’t know was that the lady was with Mikaela Kellner, an off-duty police officer from Sweden, who was more than capable of taking him down.